In addition to group training classes, Best Behaviour K9 offer one to one training. These sessions are usually held at our training school or at a place of your choice; your local park for example. 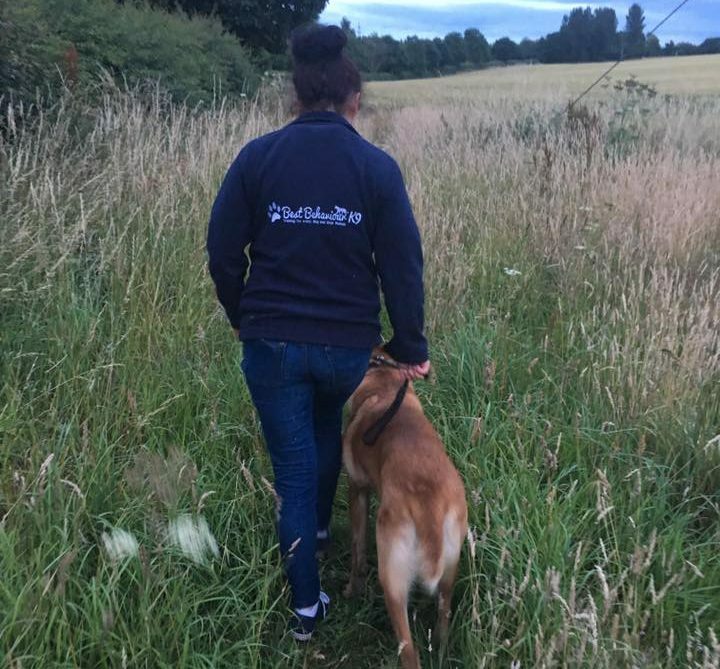 These training sessions aim to provide you with exclusive one to one instruction and can be tailored to suit the individual training requirements of you and your pet. Alternatively, if you prefer, you can share the session with a family member or friend. Please ask for further details and prices. These session do not cover behavioural issues at home. See Behavioural Consultations for this service. Why not try one of our general obedience classes to compliment what you have learned in your one to one session. Alternatively, speak to your trainer about further training tailored specifically to you and your dog.